For investors with a sizable employer-sponsored defined contribution account, those funds represent a huge part of their financial future. According to The Million Dollar Rollover Opportunity, 43 percent of investors with a sizable rollover amount consider those assets to represent about half of their total assets. More than one-third consider those assets to be the largest portion of their retirement account assets. But not all Millionaire rollover investors maintain their advisor relationship when they forward the assets into a new account. 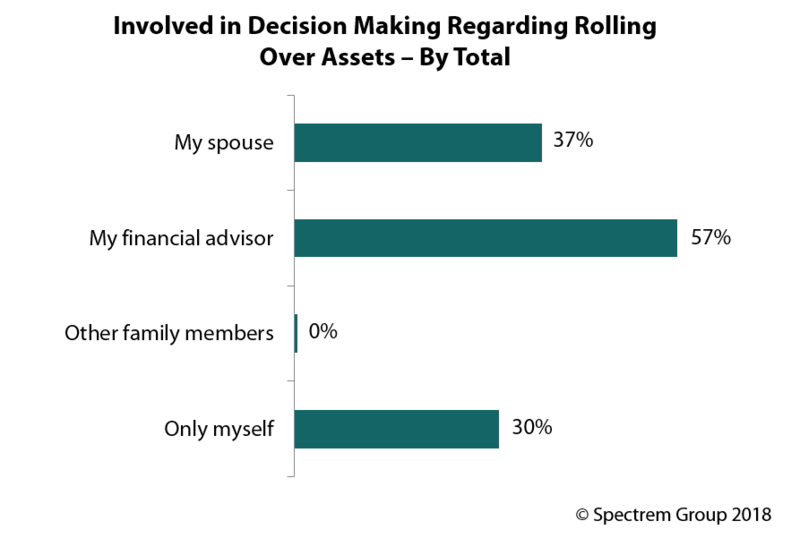 Fifty-five percent of Millionaire rollover investors moved the assets into an IRA managed by their existing financial advisor, which is the good news. The bad news is that 9 percent of Millionaire rollover investors find a new advisor to handle the process and accounts, and 23 percent rolled their assets into a brokerage account which the investor directs. Also, 25 percent rolled the assets into an IRA asset they already own.